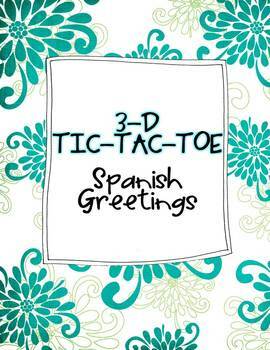 Your students can practice Spanish greetings while having fun with this 3-D tic-tac-toe game! This 3-D game is challenging and fun; Students will ask to play again! 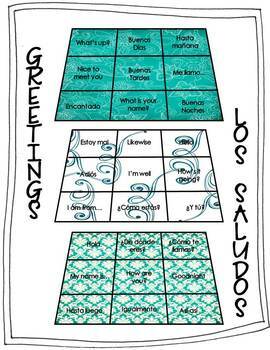 Players must translate greetings correctly before marking an X or O in a chosen square. 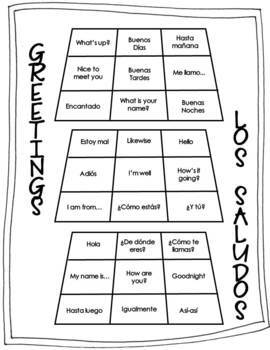 Includes 21 greetings and basic introductions vocabulary. Printable game board comes in color and black and white. 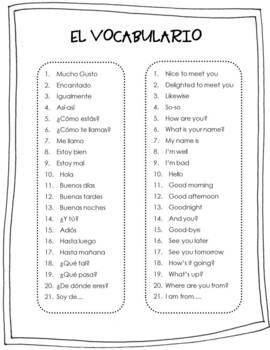 Directions and vocabulary included.